Share your research findings! We invite authors to submit abstracts for poster presentation at the Fourth European Emergency Medical Services Congress, EMS2019, in Madrid this Spring. Please note that you will receive information about acceptance of your abstract for presentation in late February and can register at the early bird rate. With an expected number of attendees close to 1,500, EMS2019 is a large and important educational and scientific event in the international EMS community. The target audience of the congress is researchers, pre-hospital and emergency health care professionals such as medical directors, physicians, paramedics, dispatchers, nurses and management. Abstracts can be submitted through our electronic abstract submission system until 8 February 2019. Only abstracts which follow the submission guidelines and are received before deadline will be taken into consideration by the Abstract Committee. Accepted abstracts will be presented as a poster and selected papers will also be published in an online international peer reviewed journal. The posters will be exposed, only in English, in the classic paper format with measures of 90 cm (w) x 120 cm (h). All abstracts must be submitted in English. 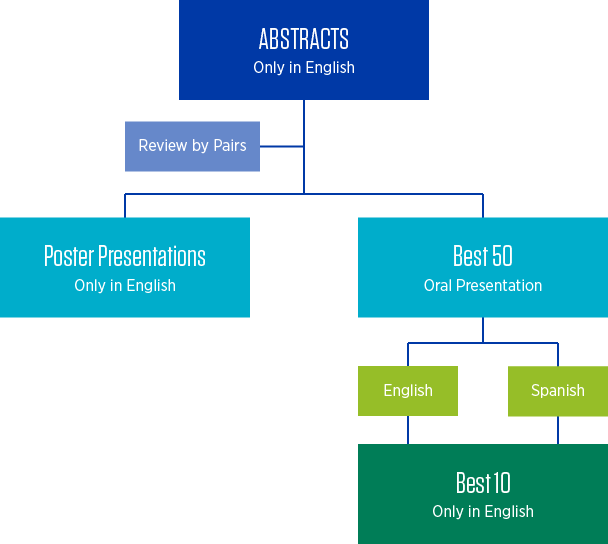 The 50 best abstracts will be selected to oral presentation during the congress. Speakers will be given 5 minutes to present their abstract followed by 3 minutes’ questions from the audience. The Spanish language may be used for this oral presentation. The 10 best abstracts will be selected to the EMS2019 Best Abstract Competition presented Sunday 28 April. The best abstract will receive the EMS2019 Best Abstract Award. This last presentation must be in English. The Abstract Submission deadline is 8 February 2019. The main text of the abstract must follow the structure: title, background, method, results and conclusion. The abstract shall include affiliation, including country of each author. Author affiliations are indicated by superscript numbers e.g. F. Moran1, J. Bradley2. 1University of Ulster, N. Ireland; 2Belfast City Hospital, N. Ireland. Abstracts can be presented in English or in Spanish. Please note, however, that if an abstract is selected as one of the 10 abstracts competing in the EMS2019 Best Abstract Competition, this presentation must be in English. We recommend that you prepare the content of your abstract in another editor (Word, TextEdit, etc.). You can use all classic fonts because the text will automatically be formatted when submitted. You can find the published EMS2018 abstracts here.